To complete the Riviera Nayarit Mexico Travel Journal we actually left the Riviera. 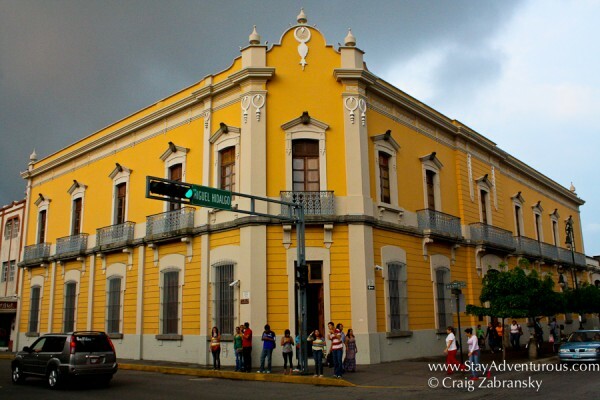 Yes, the last filming segments were no longer part of the pacific coast road trip, but an inland with a visit to capital city of Tepic and its surrounding areas. So, join us as we walk the streets and squares, as we explore the main cathedral and also taste some fine dining at Restaurant Emiliano. Listen in as I attempt some Spanish during an interview with the chef and also as I share more Mexico travel tips. Full disclosure, the interview was post meal, meaning post wine too. Well, what do you expect, the restaurant had an on-site sommelier. And the video goes beyond Tepic too to explore more Mexico travel destinations of the state of Nayarit. Watch and learn about Santa Maria del Oro, the ancient ruins of Los Toriles and the pueblo of Jala. Thank you for coming with me and discovering more of the magic of Mexico with all things to do in Riviera Nayarit. Also, stay tuned, as we start to explore Puerto Vallarta and the state of Jalisco next.